What is the holiday season without music? 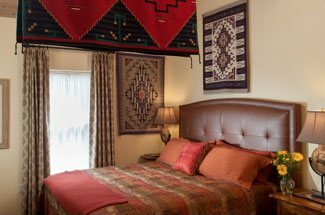 Santa Fe has plenty of opportunities to enjoy your favorite holiday music while staying at Four Kachinas Inn. Luckily, all of these events are located downtown and are just a short walk from your accommodations. 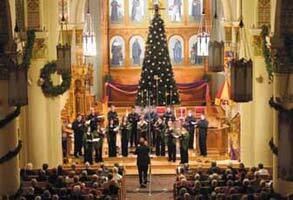 The Santa Fe Desert Chorale’s Winter Festival runs from December 14th – 31st, 2012. Their Holiday Series features four different programs: “Carols and Lullabies”, “The Big Holiday Sing”, “The Lighter Side of Christmas”, and “A Toast to the New Year.” Because the Chorale performs at various venues, visit their website to see where each concert will be performed. 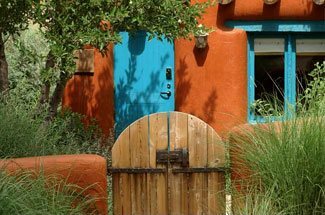 Santa Fe’s premier location for live music is the Lensic. Through the course of December, the Lensic will be hosting a wide range of artists who are in the holiday spirit! Beginning on December 10th with Aaron Neville and his quintet performing classic Christmas songs and selections from his latest gospel album. The Santa Fe Concert Association will be presenting a free concert by the Santa Fe Concert Band on December 17. Then, on Christmas Eve, hear child prodigy and piano virtuoso, Emily Bear with the Santa Fe Orchestra. Concordia Santa Fe Wind Ensemble presents Duke Ellington’s jazzy interpretation of “The Nutcracker” at the St. Francis Auditorium at the New Mexico Museum of Arts. The ensemble will be performing on December 19th and 20th, 2012.